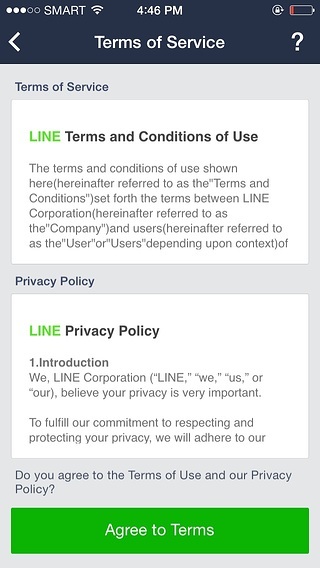 It’s no secret that LINE is the messaging app to watch this year. 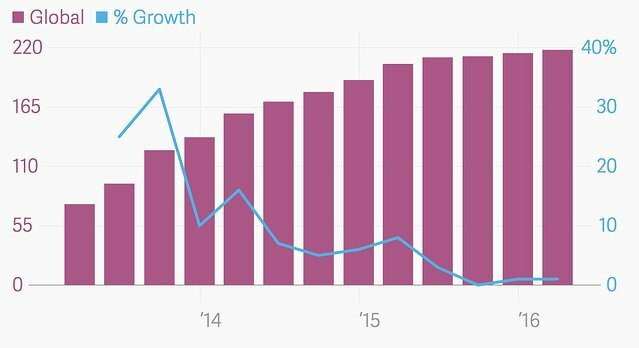 Two weeks ago, the Japanese messaging app achieved a tremendously successful IPO, the biggest of 2016, amidst tons of buzz from the tech industry. It seemed obvious to me that in order for LINE to succeed in the public market, it must be actively addressing customer retention in their product somehow. So I decided to dig a little bit deeper. 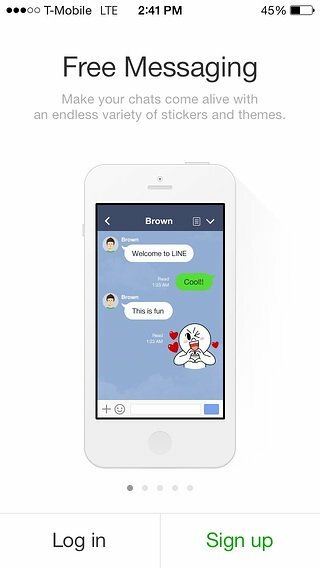 Comparing screenshots of LINE from 2014 with LINE today, I found that LINE has made few drastic updates to its core messaging service, but instead has focused on its user onboarding experience. 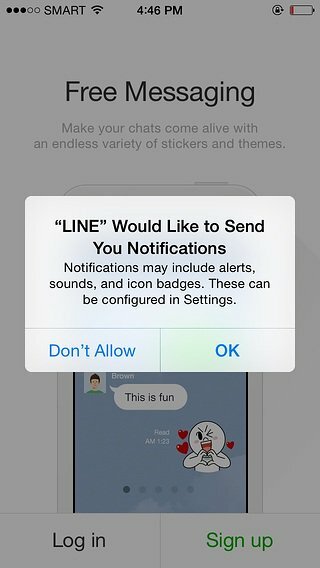 Given the continuing debates of whether or not LINE is worth its valuation, who knows what its IPO would have looked like if it hadn’t improved its user onboarding? 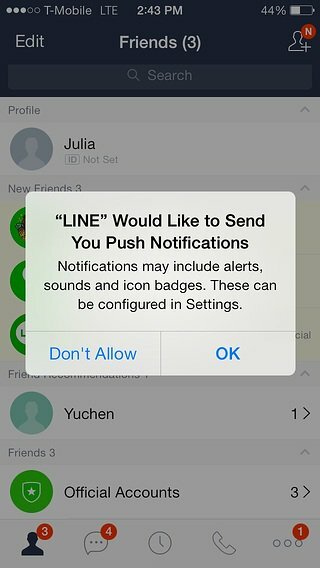 Here are 4 noteworthy improvements in LINE’s onboarding flow. In the new design, users aren’t asked about push notifications until they’ve fully completed the onboarding flow, created an account, and arrived at their dashboard. First impressions matter. In the old design, most of the sample chat screen is covered up by an ask. What incentive would someone have to committing to push notifications before experiencing the value of the app? Users are more likely to agree to push notifications if they’ve already created an account. They’ve said yes to a few more things at this point, understand what LINE is all about, and are more brought in. Getting rid of the notification ask makes the onboarding flow look so much cleaner. 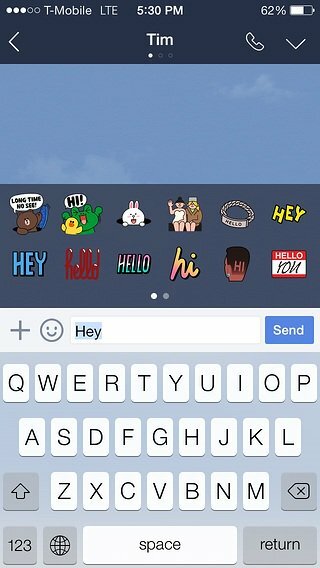 While seemingly minor, seeing the full iPhone image and the type bar also makes it more obvious that stickers are embedded within the chat and that you can use them as you would text. Making the progress bars clearer also encourages users to actually complete it. 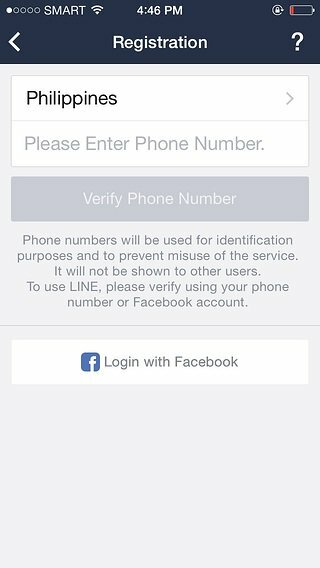 LINE previously asked users to register with an email and password before they reach the dashboard and take any meaningful actions. This is completely eliminated in the new user onboarding process. 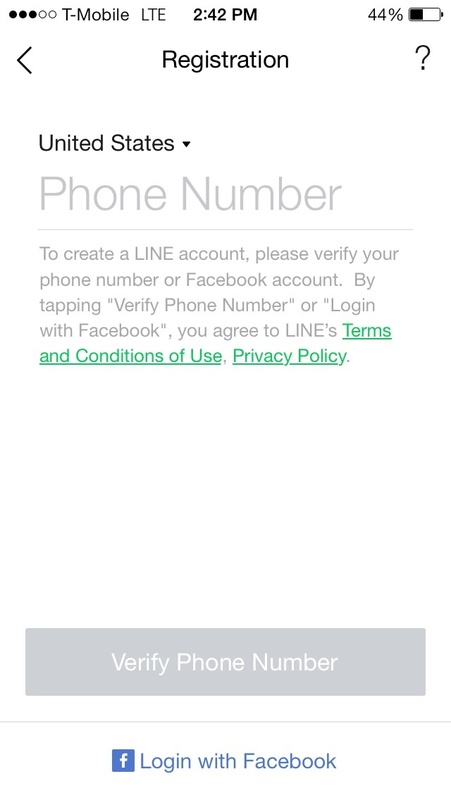 In addition to the email registration, LINE users have to confirm their phone numbers, which hasn’t changed in the new design (there’s no way around that with a phone-based messaging app). 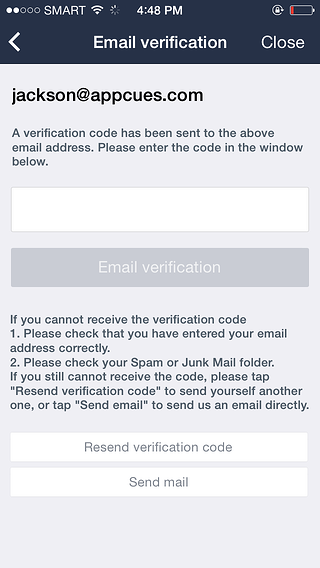 To register their emails, users would have to enter in their information, exit out of LINE to check their email, and come back into the app to enter in the verification code. What a pain. One of the goals of onboarding is to get users to the aha moment as soon as possible. Asking users to check their email AND text for verification means two opportunities for users to exit out of the app and get distracted, by two competing means of communications no less. 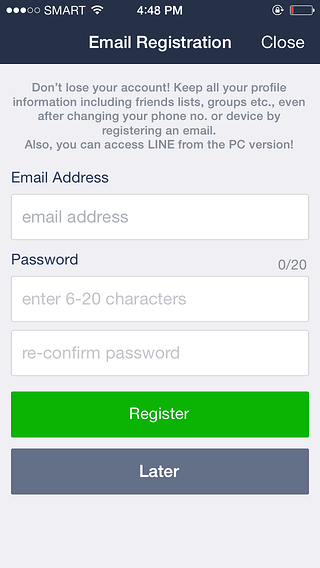 While you can still connect your email account with LINE, it’s now neatly tucked away into settings. The purpose of email linking is to let users access their data across devices, which is a feature that mostly appeals to heavy users. It makes sense that this is in settings and not taking up two screens in the crucial onboarding process. 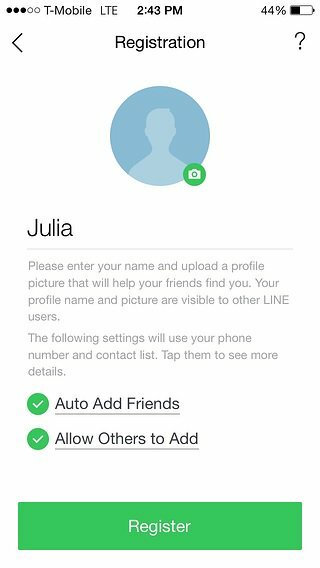 LINE’s new designs are more aligned with how users actually behave, without taking away information from the users who do want to find it. After users verify their phone number, they are prompted to create a profile with a name and a picture. In the old flow, users create a profile and then move on to a separate screen to add friends. In the updated flow, both actions—creating a profile and adding friends—are done on one screen, under a single “register” button. Voila! The instant you register, you already have friends. 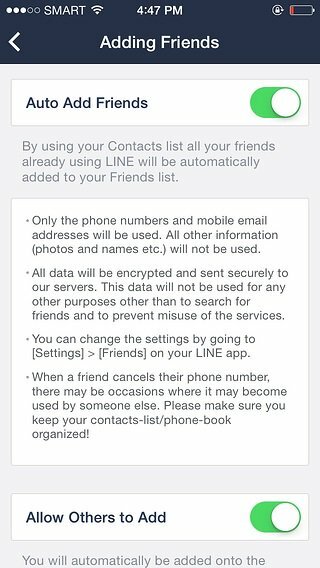 LINE may have figured out that the most active users have more friends, or that adding a certain number of friends is a pivotal step to engagement. 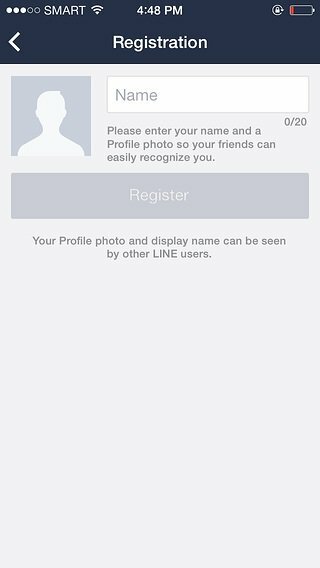 In any case, making it super easy for users to add friends is in LINE’s best interest. The lengthy description of adding friends in the old design makes it seem really scary. Adding friends is a pretty basic part of any social app, and most users probably won’t need all the fine print. If they do, more details are embedded as links in the updated design and in settings. Also, more than half of the screen in the old registration screen is wasted, empty space. Fixing user onboarding doesn’t mean you have to revamp the entire product. LINE has managed to simplify their onboarding flow without detracting from their distinct brand of cuteness or their wide, and somewhat dizzying, range of offerings. Looking at the improvements in LINE’s user onboarding experience, it’s clear that LINE has put a lot of thought into how to best engage users from the start. 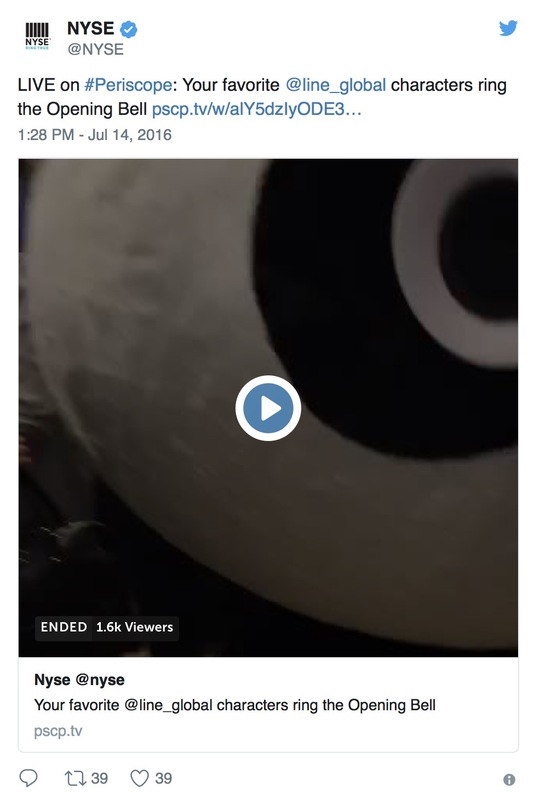 User onboarding is one of the most crucial parts of retention, and LINE’s ability to hone in on it is a great predictor of their focus on growth and retention. Whether or not LINE can continue to acquire users in new markets remains to be seen, but they’re definitely onto something when it comes to user engagement. Their improvements to user onboarding show that they’re thinking about engagement and retention in the right ways.